In recent years, the boyfriend and I have been taking gradual steps toward reducing our exposure to risky chemicals in household products. I could write a whole post about this, as it’s much trickier than it should be, but today I wanted to share my experience with a certain kitchen-related detail. I’m not super proud to admit this, but until very recently I had always employed a non-stick skillet as a major part of my cookware arsenal. It’s been my easy solution for cooking eggs, pancakes, quick sautes and stir fries. While the EPA does not currently attribute health risks to nonstick cookware, the potential concerns of the surface materials are enough reason for me to avoid them if possible. Over time I’ve tried traditional Teflon pans as well as a variety of PTFE/PFOA-free cookware. While these new “greener” alternative surfaces may be promising, they also have limited research regarding their long-term safety. And as you may have guessed from my track record, I’m not only dissatisfied with the potential health implications, but I’ve also become really tired of replacing them practically every year as they wear out and lose their non-stick qualities. Continue to grudgingly replace non-stick cookware and acknowledge the potential health risks? No… the madness must end! Stainless steel? Maybe, but I feel like certain sticky foods will pose a challenge and I’ll find myself adding much more oil when cooking. Carbon Steel? What am I, a millionaire? Raw cast iron? When well-seasoned, it is a natural non-stick surface. It’s regarded for its even heat retention and unique ability to create a beautiful extra-golden crust. It even has the benefit of providing extra dietary iron with regular use. 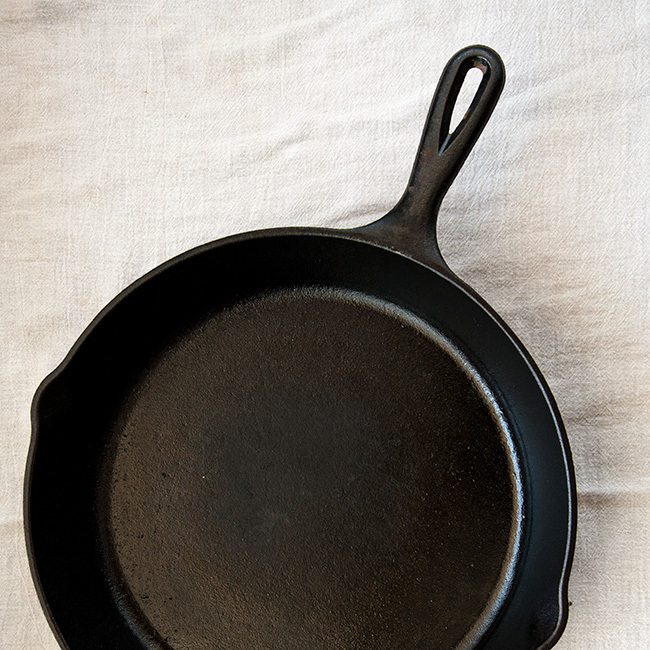 So many cooks love using cast iron… maybe it’s time for me to be one of them! For a big weekend project, it can be a necessary evil to destroy the kitchen with splatters, spills, and a mountain of dirty dishes. But in my daily life, I’m rather mess-averse. I don’t have a dishwasher in my apartment, and if a recipe is going to fill my sink up with multiple pots and bowls, it definitely makes me think twice before committing to a late night of scrubbing. Any trick that leads to fewer dishes to clean? I’m all over it. By now, the trick I’m sharing today has saved me hours in dish-washing grief. Even more than most dishes, I hate dealing with a dirty blender… the huge, clunky pitcher and all the moving parts – just for one measly smoothie! So, did you know that all standard blender bases are the same size as the opening of a regular (not wide-mouth) mason jar? 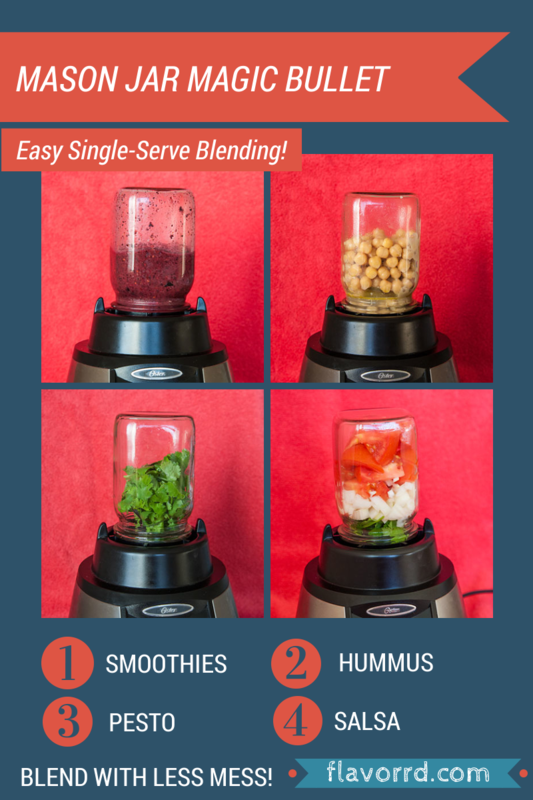 To create your own “Magic Bullet” single-serve blender, all you have to do is unscrew your blender’s base/blades/gasket and screw them onto a simple canning jar. You can make small batches of blended foods right in the jar, and then use the same vessel for storage or consumption! I find that a pint sized jar is the most useful; just the right size for a bowl of hummus or salsa, and for smoothies I can drink it straight from the jar, or put on a canning lid and take it on the go! In an effort to fight the worldwide epidemic of unnecessary blender-scrubbing, I made an amateur-hour attempt at creating this post’s pinnable images to let us visualize the possibilities. So if you found this helpful, please share! I’ll admit, when perusing the blogs and reading about the next “amazing trick” for whatever kitchen task, I usually go into it expecting to have heard it before. I take after my lovely mom, who made sure I knew how to remove stray eggshells/keep biscuit dough cold/identify properly risen bread/etc. from an early age. I strangely pride myself on borderline obsessive knowledge of kitchen techniques, and even I had never heard of this trick until maybe a year ago! So I feel it’s my duty as a blogger who strives to make cooking accessible, to shout this one from the rooftops… this tip is a winner! For full disclosure, it’s important to note that the glass in mason jars does not adhere to the same safety standards as the strongly tempered glass in blender pitchers. I have a hard time imagining the thing blowing apart, but I suppose it’s possible, so take that into consideration (no suing me, ok?). If you’re concerned about safety, throwing a towel over top of the jar while blending would presumably contain any breakage. Have you heard this tip before? 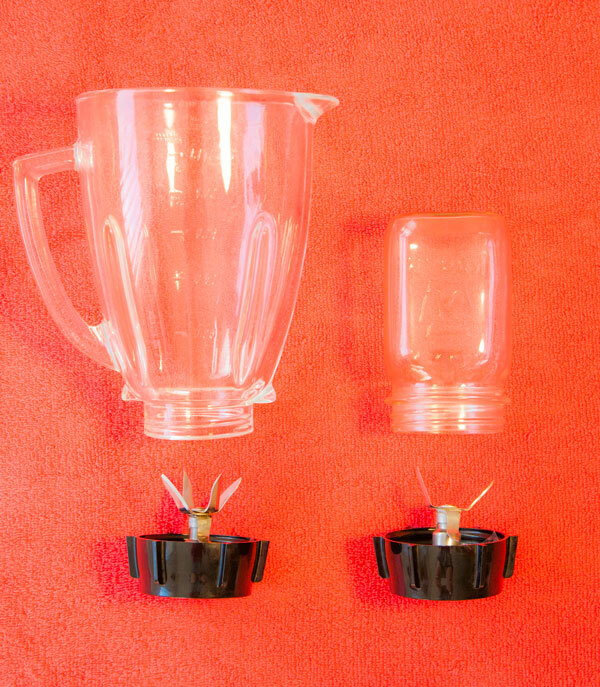 Do you screw a mason jar onto your blender? What other foods should I be blending?? Meet my new favorite toy. 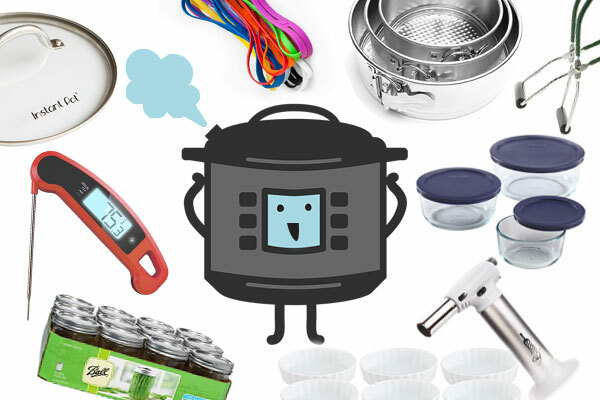 Sometime last year, I got a bee in my bonnet about pressure cooking. 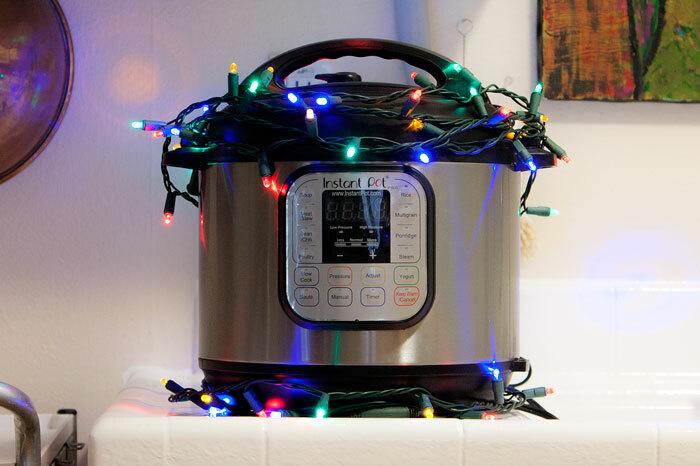 I admittedly don’t have much experience with the old-school stovetop pressure cookers our grandmothers used, but after reading an article about countertop Electric Pressure Cookers (EPCs) I was intrigued. 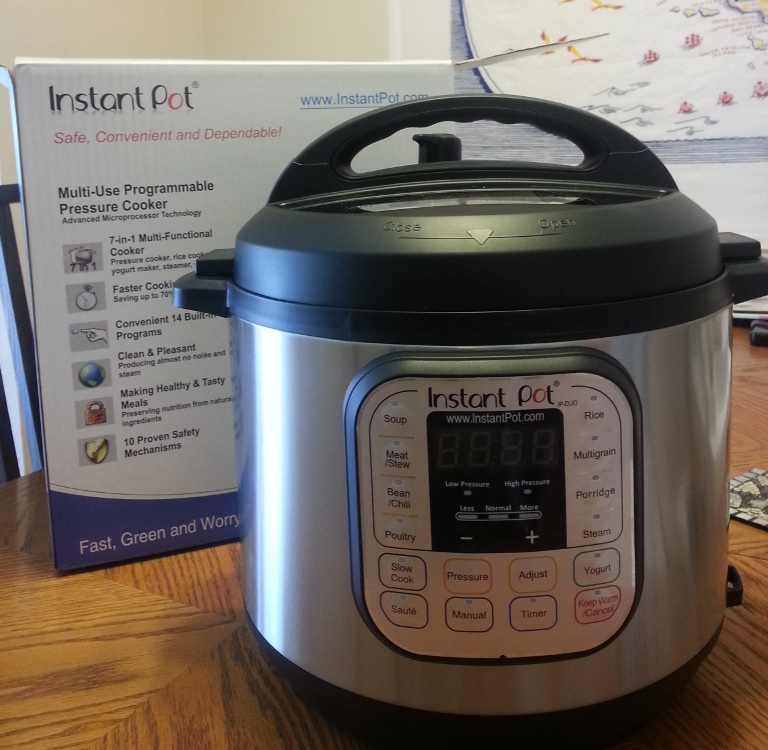 I was immediately drawn to the time-saving and nutrient-preserving advantages, the energy efficiency, the versatility of programmable functions, and especially the “set-and-forget” quality that I never realized could be compatible with pressure cooking. 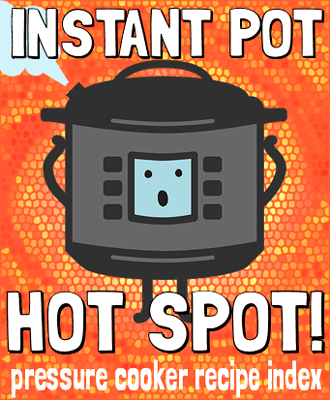 When I decided that I wanted my next kitchen investment to be a pressure cooker, I delved into researching all available options, and eventually settled on the popular Instant Pot . This product is on the pricier end of the EPC market, and although I had some moments when I leaned toward less expensive brands, I came to the conclusion that it offered a better value for the price (factors affecting my decision to follow). 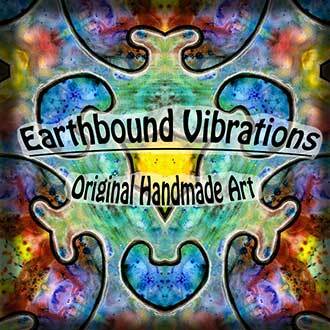 I asked Santa to pre-order one for me, and I must have been good this year because the jolly old guy pulled through.